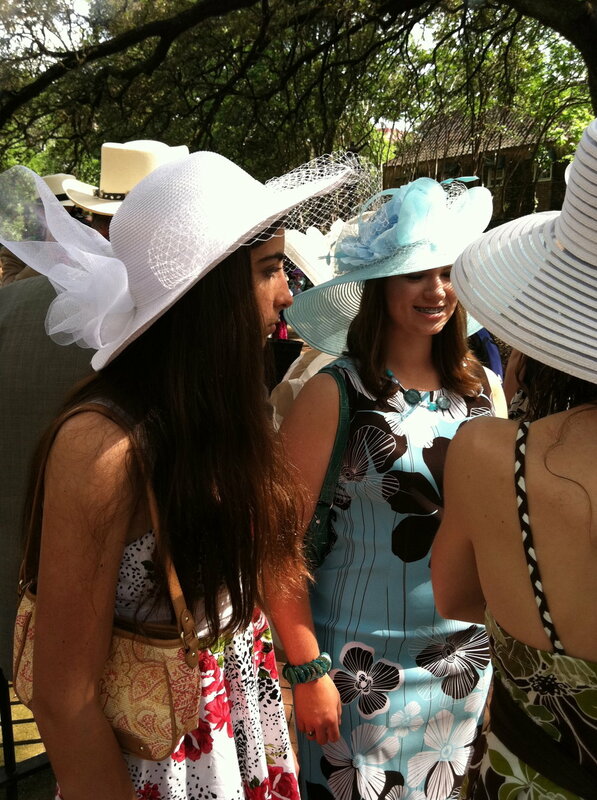 The Royal Ascot has them and the Kentucky Derby has them. Fabulous hats. 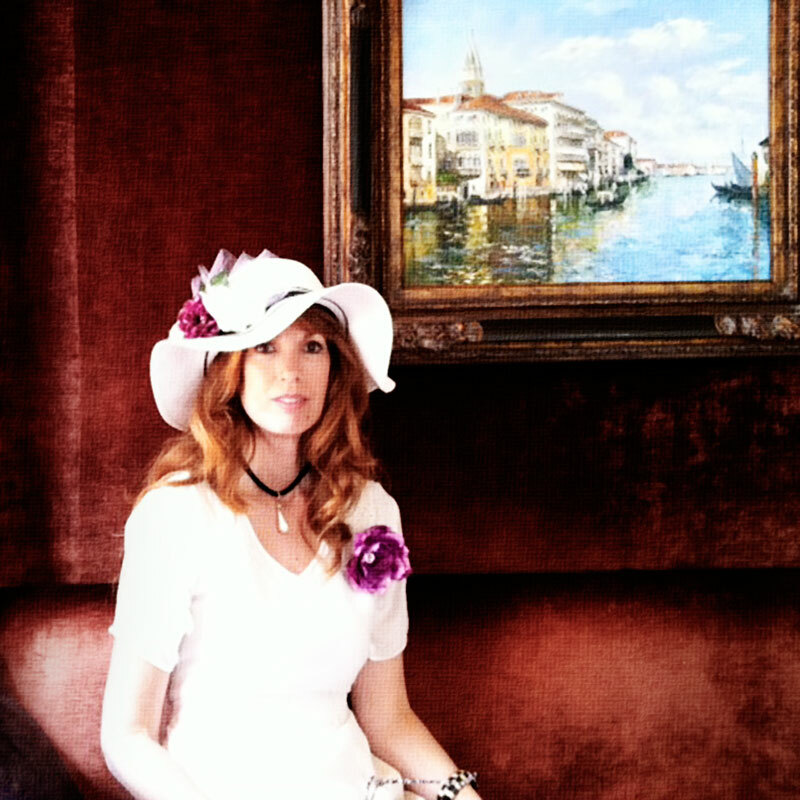 Quirky hats, huge hats, and beautiful hats. 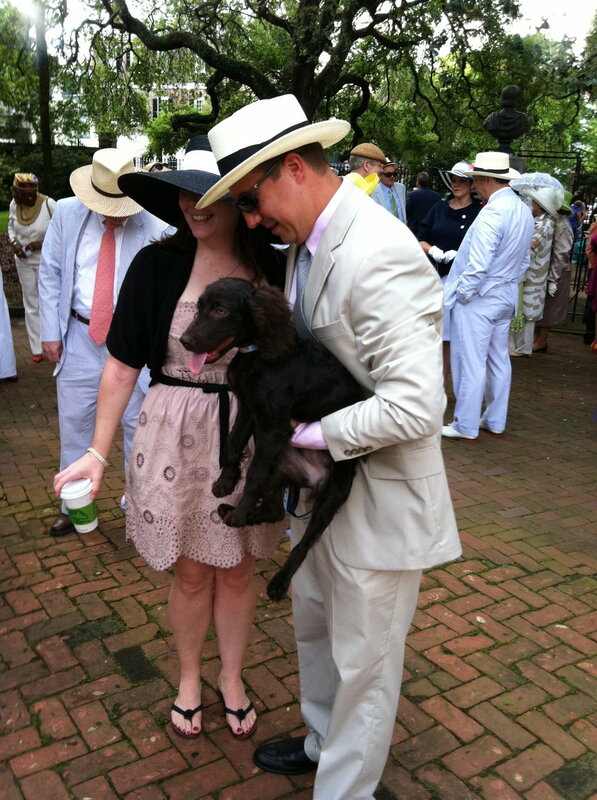 And then, there’s Charleston on Easter. 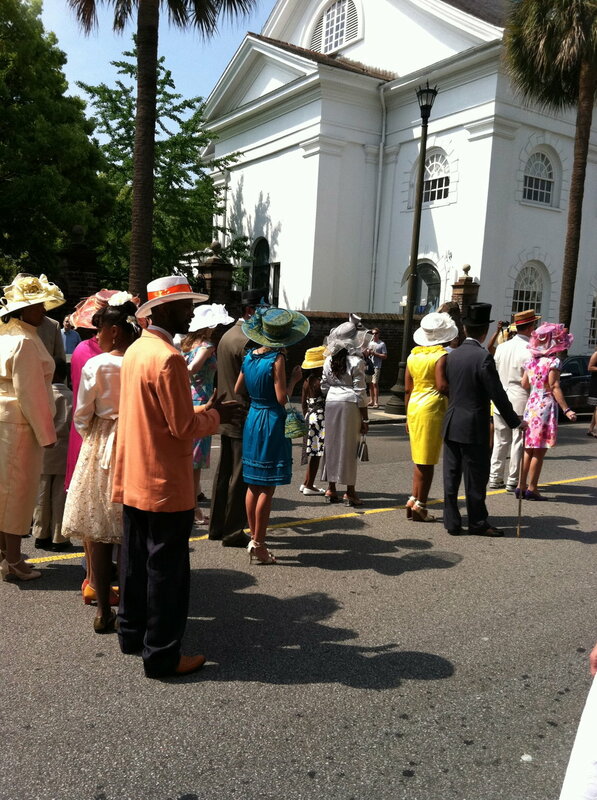 Now, when you think about Easter, remember there are over 400 churches in Charleston. It’s no surprise its nickname is the Holy City. Charlestonians pride themselves on having steeples, not skyscrapers, for their cityscape. 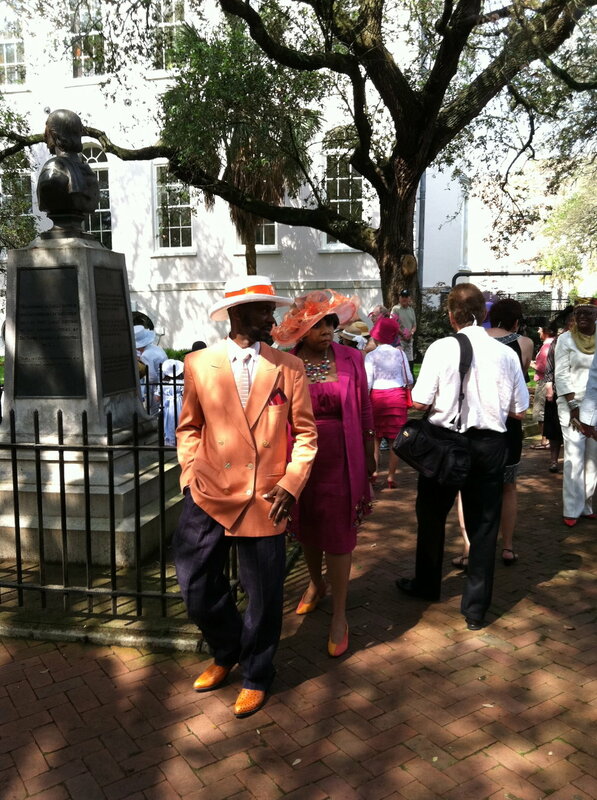 Hence, Charleston takes Easter seriously with pomp, ceremony, and a great deal of humble civic pride. As part of that civic duty there will, of COURSE, always be an annual Easter parade. 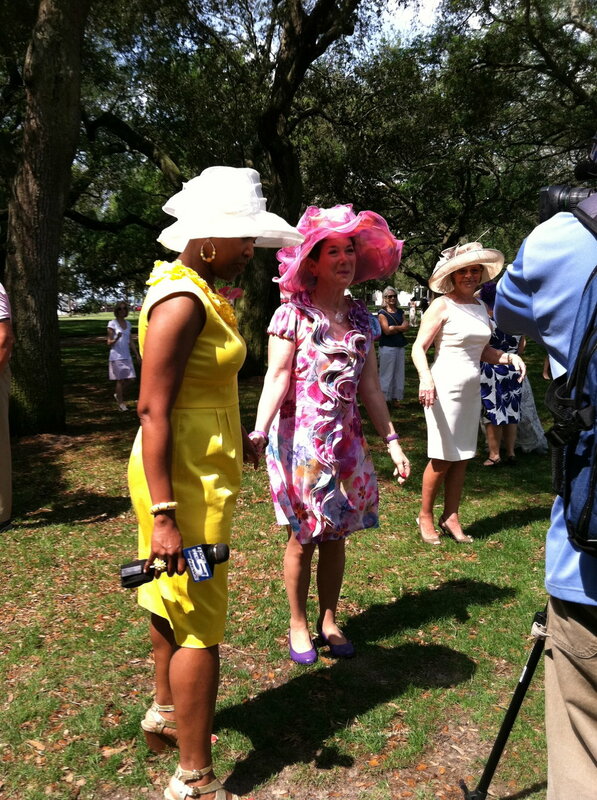 Part of that Easter parade will be bonnets and hats. And Those? Those will be worn by those elegant and special women of the South known as Steel Magnolias. 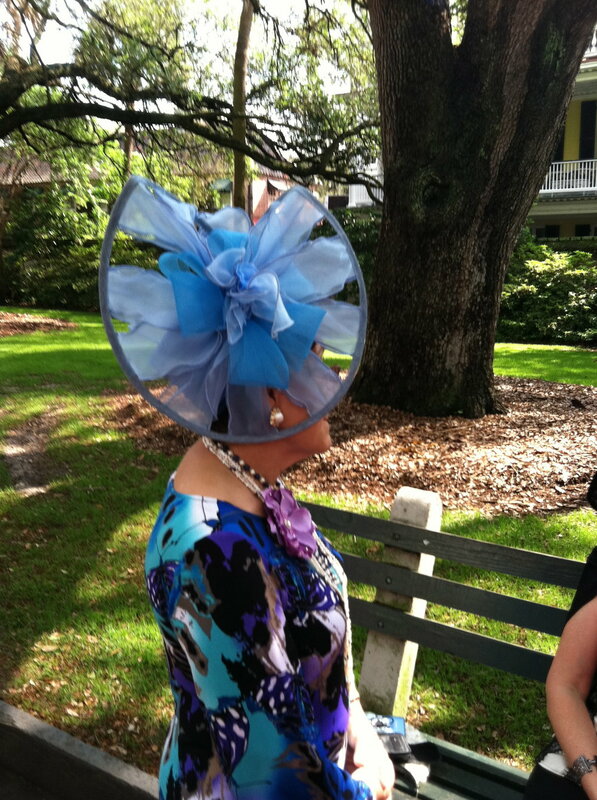 For 16 years, the Charleston Easter Parade has included The Hat Ladies. They are a big and special part of the civic pride displayed each Easter. The Hat Ladies were started 17 years ago by a woman named Archie Burkel. It has grown to include a huge group of extraordinarily-hatted women who do good works, charitable deeds and have a truckload of fun doing it. They have lunched with Ambassadors and attended the Royal Ascot. They visit hospitals, help out when they can, and will do battle for the needy. All the while wearing a fabulous hat. These women (and their escorts) CRUSH it! Please visit the Hat ladies and help them along in their cause. 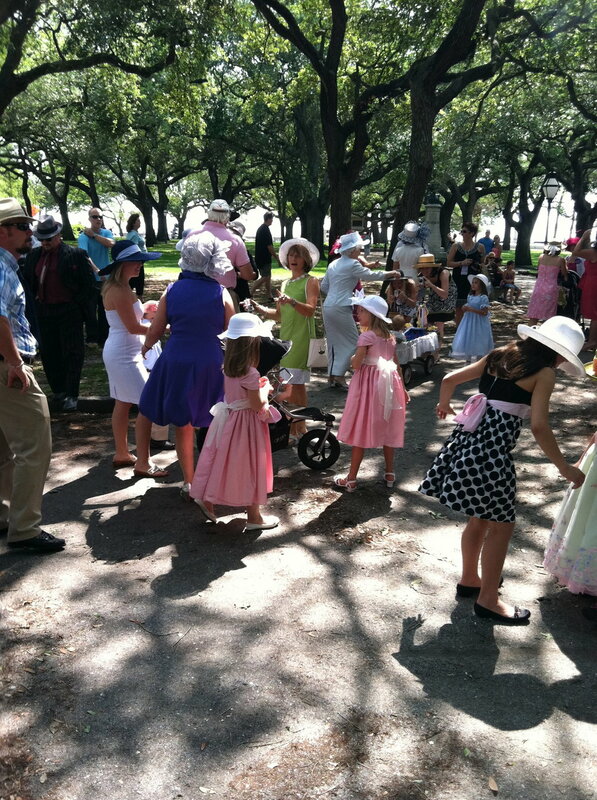 If you are local and want to join The Hat Ladies at their 17th EASTER PROMENADE it is on Saturday, March 31, 2018 at 11:00am. They‘ll be on Broad Street between Meeting Street and East Bay street. The parade is open to every age, gender, race, and hat. No fee. 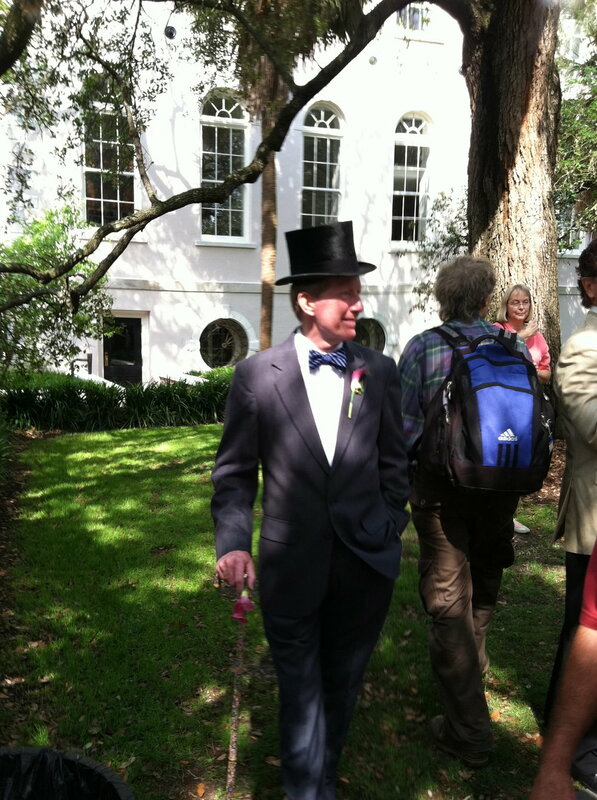 I made the hat I was wearing in this parade. If you'd like to give hat making a try I'm including a video with a kit you can get to make a charming little Fascinator. It's not my Video and I don't make a dime for this endorsement. I just like hats as a fashion statement. If all you know about the town is that its old, by the sea, in the South, and there was a horrible racist shooting there in 2015, then you don’t know Charleston. I hate to even discuss such hideous thing as that shooting but it’s now part of the fabric there. That the crime took place in a church rocked a city that prides itself on tolerance and faith. And in the face of such horror, Charleston stepped up in grace and beauty. You may not have heard that in response to that tragic expression of ignorance, cruelty, and evil over 10,000 beautiful people met and held hands on the bridge in Charleston. You may not have known that the churches of Charleston stood as one and rang their bells on the June 21st 2015. A Sunday. The sound was extraordinary. The stillness it created as the world stopped to listen… I wept writing this. 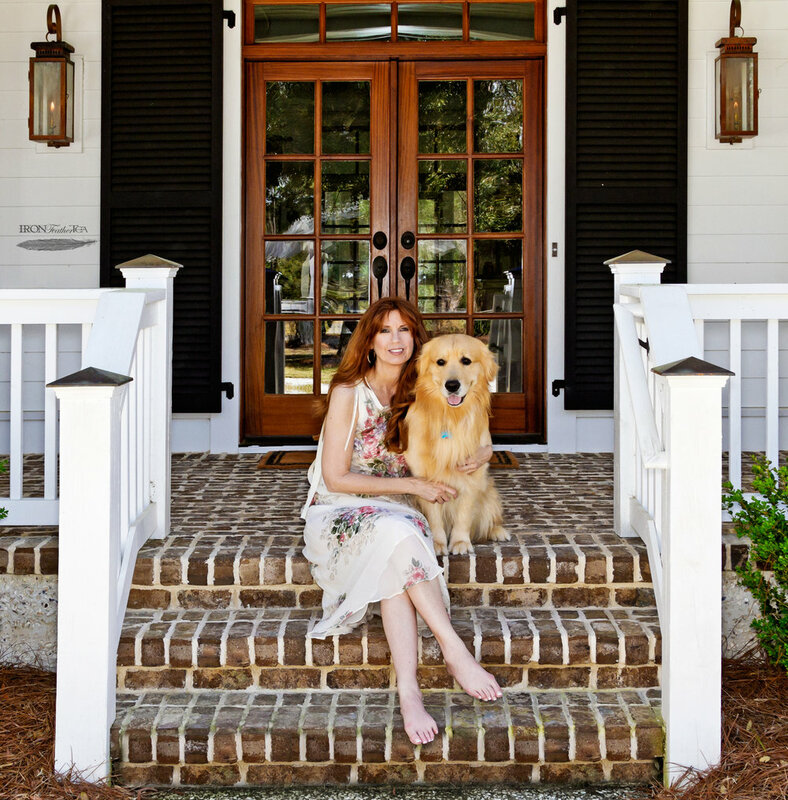 There is much beauty, love, and forgiveness to be found in an amazing place such as Charleston. The response they chose to an unspeakable tragedy is a lesson for everyone. Tragedy will always strike. It’s how we handle it that makes a difference. Charleston has my unending respect.